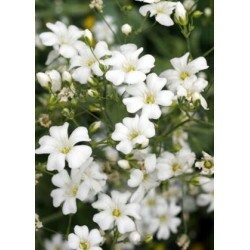 Baby۪s Breath is a 9" to 18" tall introduced annual that is a staple for the florist industry. 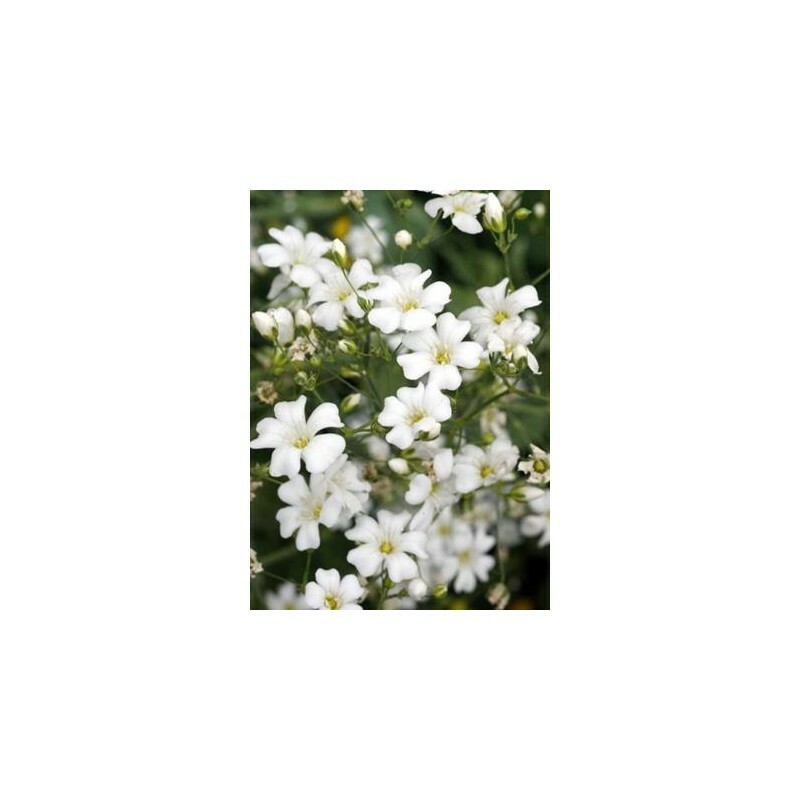 It features a profusion of small 5-petaled white flowers on thread-like stems and is widely used by florists as a background for cut flowers. 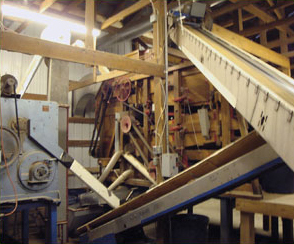 This is an easy to establish plant that will produce flowers within a few weeks of germination. This plant flowers in summer and grows best in dry to medium moisture soils and will grow in full sun or partial shade. 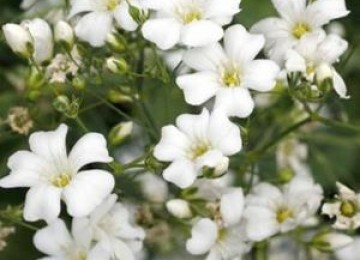 Baby۪s Breath is a must for the bed, border, and cut plant garden.